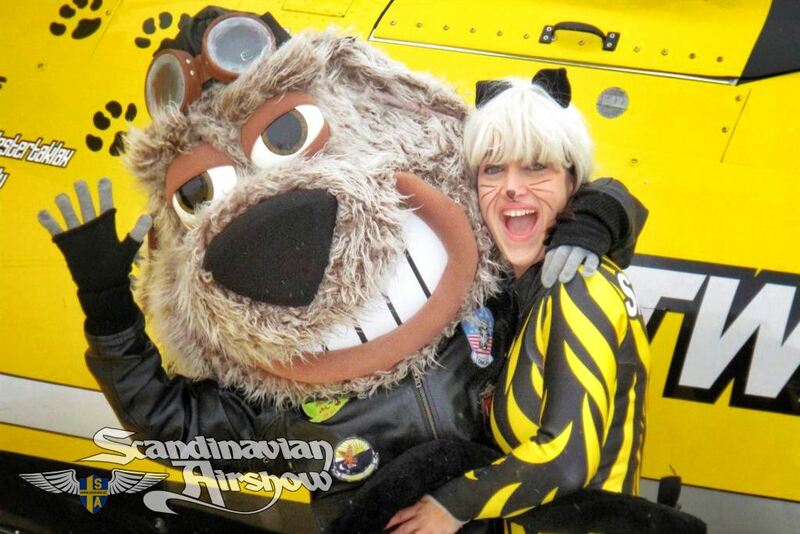 Scandinavian Air show invites the air show public and specially the families with children to a spectacular and very popular family show with its tuff, playful and friendly figures the SKYCATS and our characters the dog DOGLAS. 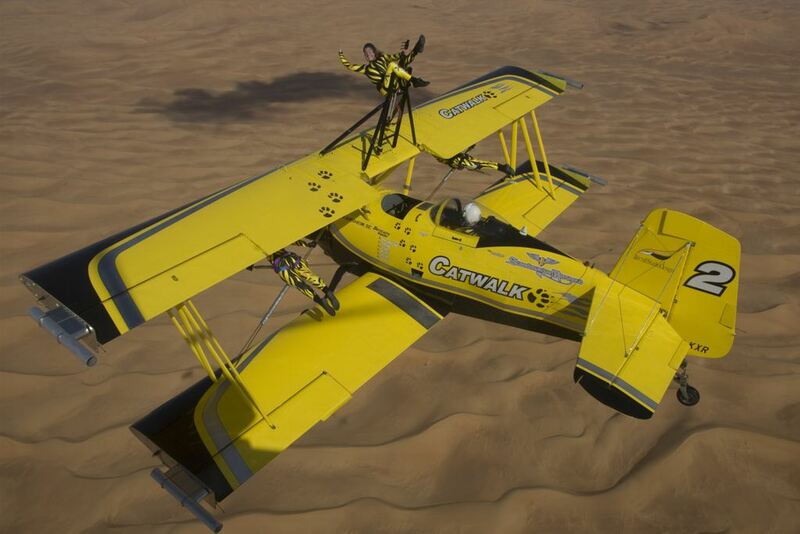 The SKYCATS will perform an aerobatic wing walking act on “CATWALK”. 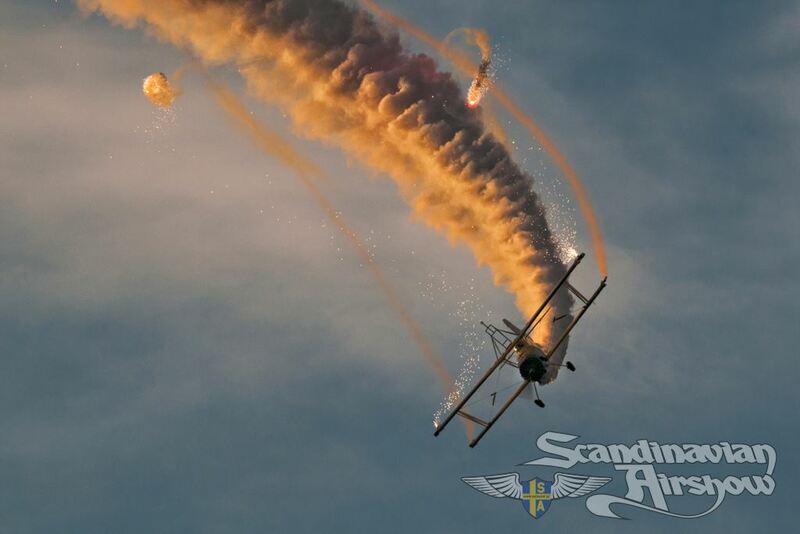 With the powerful smoke system and wingtip pyrotechnic smoke the air show pilot Jacob Holländer or Sus Jan Hedén invites for an wingwalking display that is unique in its class. 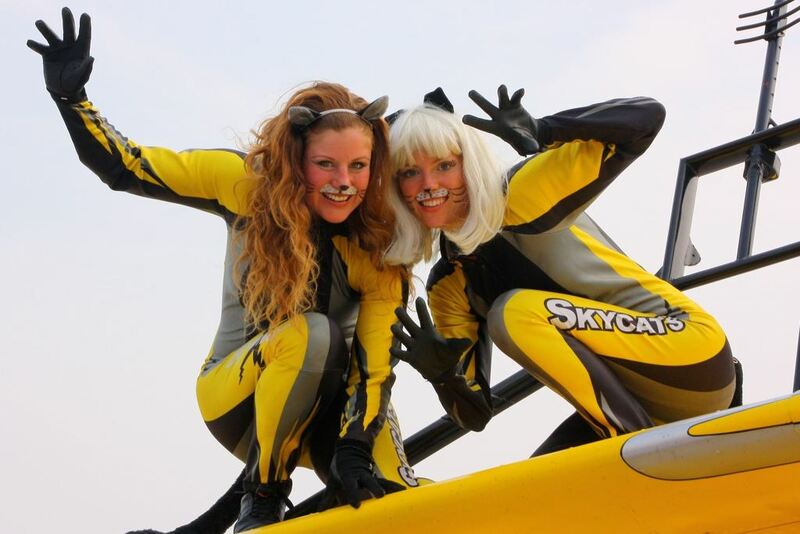 During flight the two SKYCATS are climbing and posing on the wings of the aircraft in different formations like “Lazy Cat”, “Super Cat” etc. 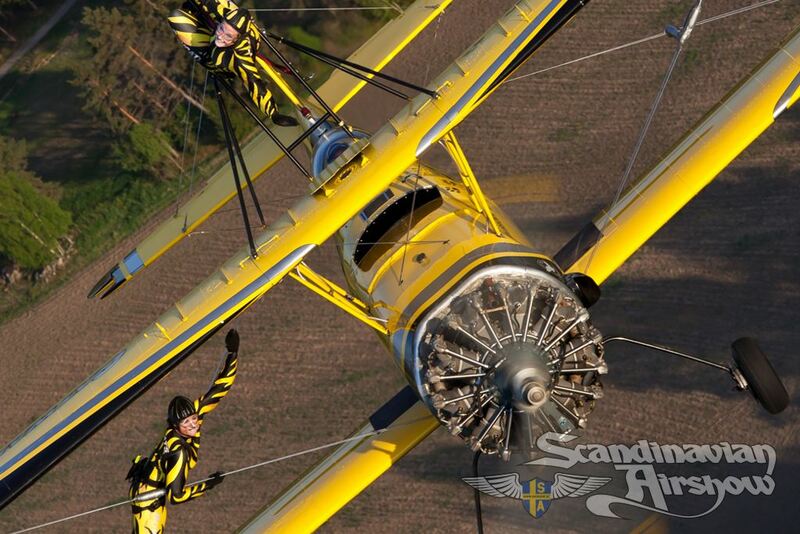 while the pilot is making numerous of aerobatic manoeuvres like loops and barrel rolls. With the CATWALK we can also offer a pyrotechnic night show & SKYWRITING. 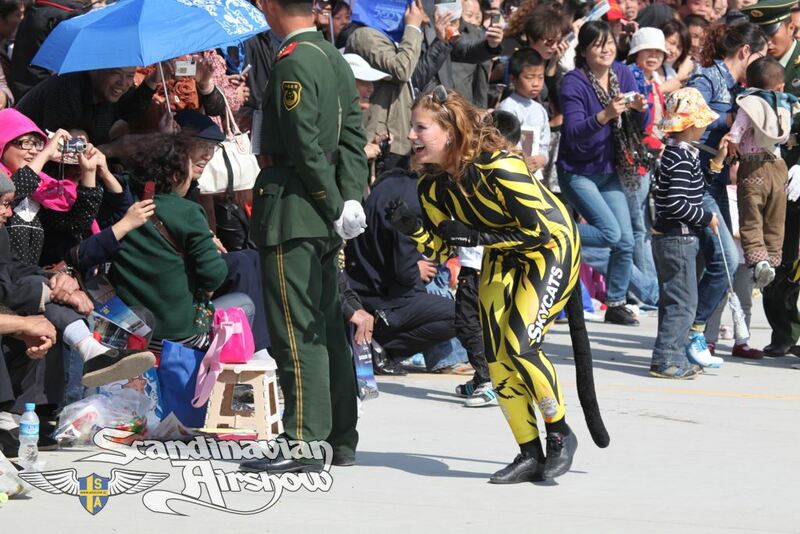 The Catwalk is the ultimate air show aircraft and can in the evening transform into a pyrotechnic platform and perform its amazing night pyrotechnic display. 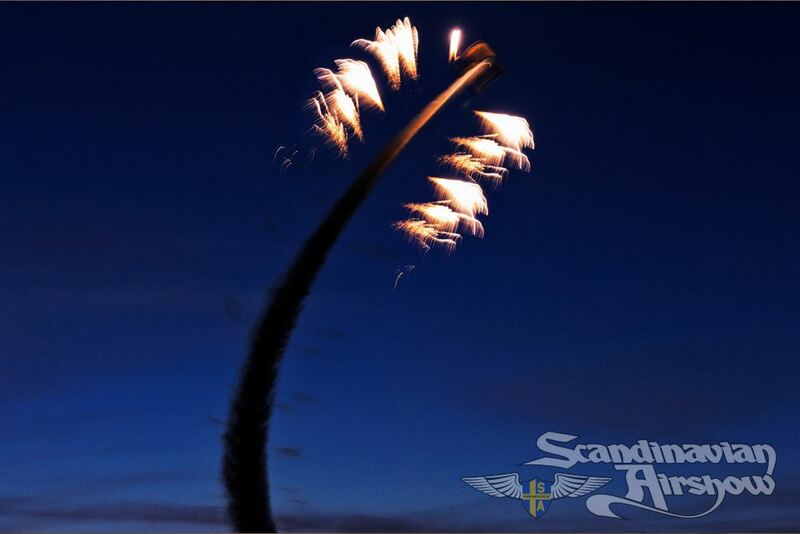 Together with Scandinavian Airshow´s own professional pyrotechnician Claes Bonde and his team we can fulfil your evening event beyond your imagination. 1992 till wing walking airplane in Texas USA. SKYCATS and our characters the dog DOGLAS are our cool and friendly WINGWALKERS who invite the air show public and specially the children for a playful ground show and a breathtaking wingwalking air show. 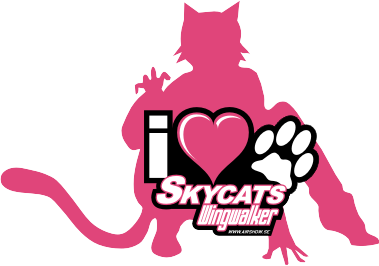 During flight the SKYCATS are climbing and posing on the wings in different formations like “Lazy Cat”, “Super Cat” etc, while the pilot is making numerous aerobatic maneuvers as loops and barrel rolls.